I’m pleased to offer an American Heritage Girls bow. The bow options are: TENDERHEART with red as the base and white and blue accents, and EXPLORER with navy blue as the base and red and white accents. 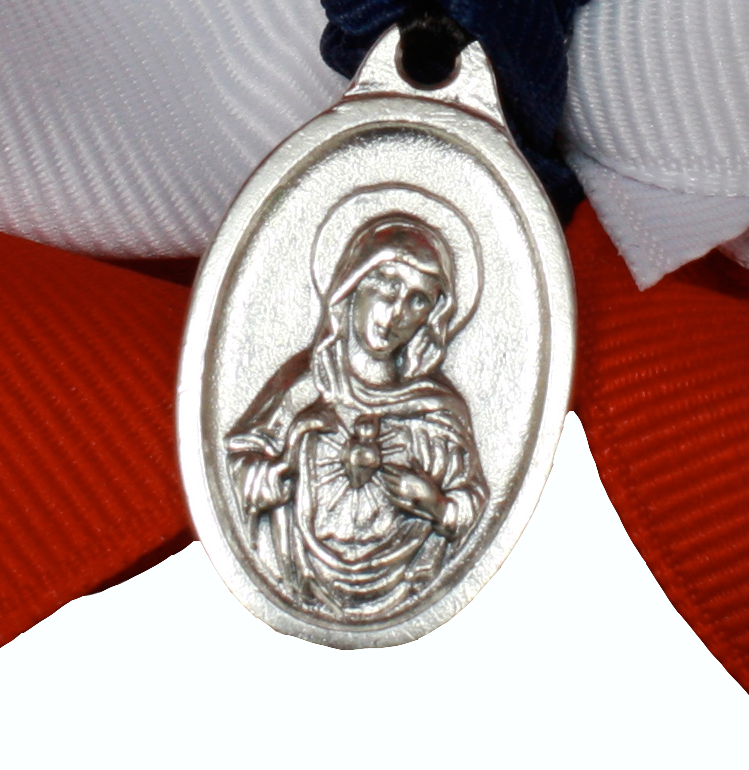 If your troop is under the patronage of a particular saint, a coordinating medal can be added. PRICE: $10 without medal, $12 with a medal. READY TO ORDER THE TENDERHEART HAIR BOW? READY TO ORDER THE EXPLORER HAIR BOW? SUGGESTED ORDER DATE: Anytime of the year.